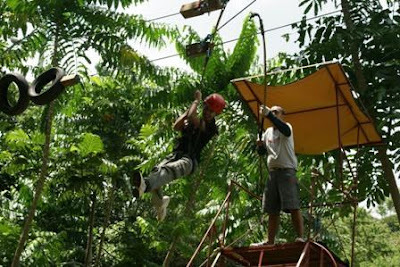 We have been joining eco – tourism fun including hiking, mountain climbing and zipline adventure. And, oftentimes, we are advised to just put on athletic gears including climbing shoes for convenience and support. 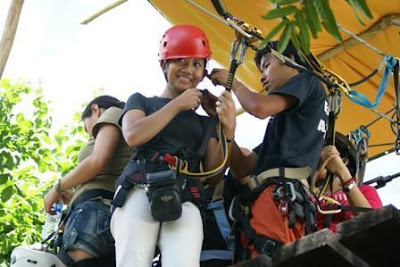 But, when we were scheduled to have a fun zipline over hundred meter zipline cables, we could only be both excited and anxious to get the fun done. We were however to wear zipline safety gears to make sure that we won’t just fall off from the zip cables. I wonder if these kind of recreation risks are defined in life insurance glossary including provisions for accidents. Somehow, my anxiety over height and speed subsided when I saw the rest of zipline riders simply had fun. In fact, my 8 – year - old kid had a good shrill when he took his first zip cable rid and I could only envy his courage and faith.